How organizations can navigate the waters of change and support career development in a way that balances the needs of employees with corporate constraints. “I quit! There are no opportunities here for me.” You’ve heard this before, right? Likely way too many times! What if everyone had multiple opportunities to learn, grow and move toward career success? It’s time to rethink career development and apply a new mobility lens to build your career development culture. Addressing mobility can help organizations create more right places and right times, for all of the right people. To truly change this paradigm and build a culture of development, all mindsets must shift – we refer to it as ownershift. ORGANIZATIONS … appreciate patterns of growth and celebrate non-traditional career moves and experiences … not just promotions. 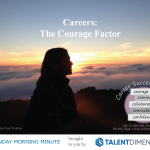 Career patterns include lots of different kinds of experiences – celebrate ALL of them! Beyond providing the systems, processes and tools to deliver on your promise of growth, all barriers to mobility must be removed and processes adjusted. “Flex Up” traditional org charts – employees want the flexibility, and agile organizations enable talent to expand their breadth and depth of knowledge as they move from group to group or project to project without changing jobs. Consider tossing out the hierarchical stacked boxes of an organization chart and using a more fluid ‘orbiting’ design (we call it an ‘orb chart’) to better support today’s reality. 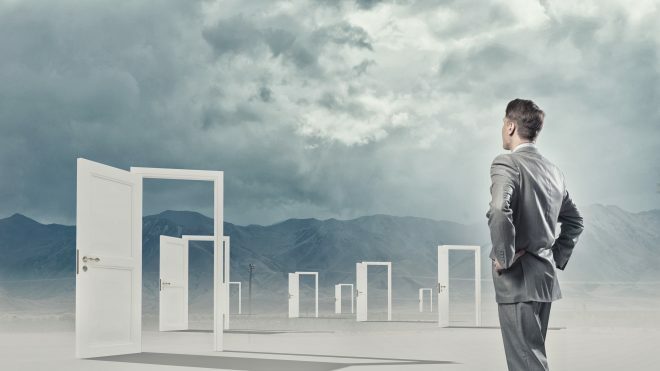 Check those doors between departments and functions – make sure talent is not locked in or locked out of opportunities to grow. And while you’re at it – check that exit door to see if returning talent is welcomed back. Most importantly, authentic communications must be constant – remove the perception that there are no growth opportunities as you continue to celebrate success stories and create new ways to grow and learn. MANAGERS … open your minds to new ways of growing and activate the 70-20-10 rule. Offer on-the-job learning, stretch assignments, team projects and other ways to learn and grow. Continuously build trusting relationships with employees. Conversations are key and mobility conversations will strengthen your employee/manager relationships. You do NOT have to have all the answers, you do need to ask great questions that lead to insights and learning opportunities. Widen your talent net – include Hi-Pro’s as well as Hi-Po’s in career planning and mobility conversations. Encourage optionality and build resilience in your teams. 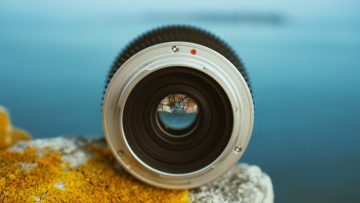 Optionality means having more than just a Plan A in play – when employees have a Plan B and a Plan C in the works, they are more agile, flexible and ready for what’s next when change happens. Talk is cheap – demonstrate the importance of development through your own willingness to learn and grow. INDIVIDUALS (and this is a role we ALL play regardless of the level or job we are currently in) … define career success personally and have the courage to test assumptions, explore options and apply insights. Stay open to ALL possibilities and experiences, examine any biases or assumptions and embrace the idea of careers as patterns. Seek out mobility conversations and commit to taking action – connecting to the resources, people and experiences necessary to move towards your definition of career success. The existence of more right places gives individuals permission to think and act differently. Like the navigation systems we rely on to re-route our travels based on unexpected traffic changes, a true career mobility mindset will provide a foundation for resilience in this ever-changing world of work. When multiple experiences are celebrated in an organization, individuals have a variety of ways to feel rewarded for good work. The competition for a limited number of coveted positions is lessened. Recognition becomes more inclusive and managers have additional ways to support the growth of their teams based on not only the needs of today, but to meet the needs of the future. My newest book, Up Is Not the Only Way, Rethinking Career Mobility, explores these concepts deeper. 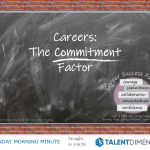 You can read the first two chapters here or learn about our newest career mobility solution by contacting me at bev.kaye@talent-dimensions.com.